34-24 Watermelon, 41-01 Havin' Fun, 34-87 Sno' Dog, 34-60 Lu Lu, 34-79 Horizons & 34-104 Rhumb Line. Disclaimer: This amazing photo was taken by Carol Tuschick from the bridge of the Suomigracht. The ship was actually docked in Port Everglades (Fort Lauderdale) at the time the photo was taken. 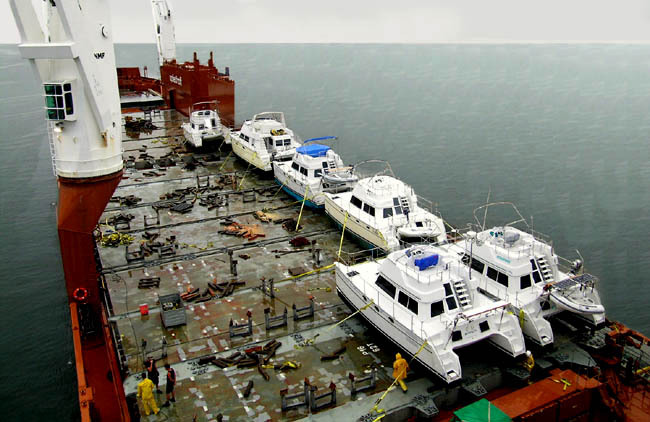 I decided, however, to move the boat out to sea - with a little help from Photoshop. HC. The Suomigracht at anchor in Portsmouth, RI - about seven miles up Narragansett Bay from Newport. John Mills, who took this photo, reports that his boat, Tyger was loaded late Sunday afternoon. 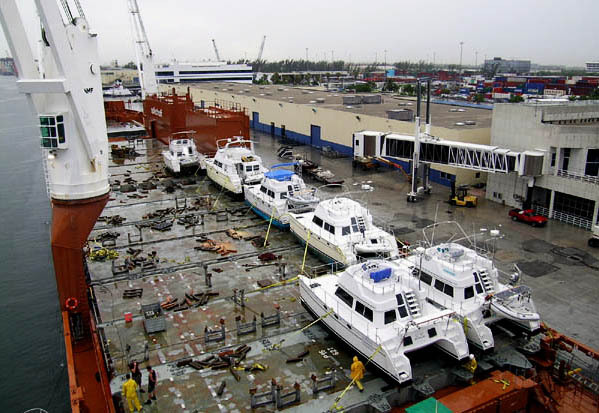 They also loaded another 13 boats - including 6 sailboats. 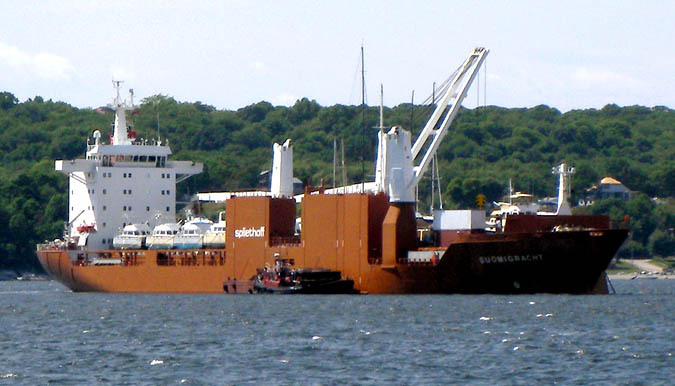 The Suomigracht is now expected to depart Rhode Island early Wednesday, June 13th. Next stop: Southampton in the UK. Then, it's on to Skagen on the north coast of Denmark - and finally, RAUMA! Go to PDQ Baltic Web Log - new!